NORDITA Nordic Institute for Theoretical Physics Stockholm. "Turbulence & magnetic fields - from the early universe to late-type stars"
April 1st to April 5th 2019. 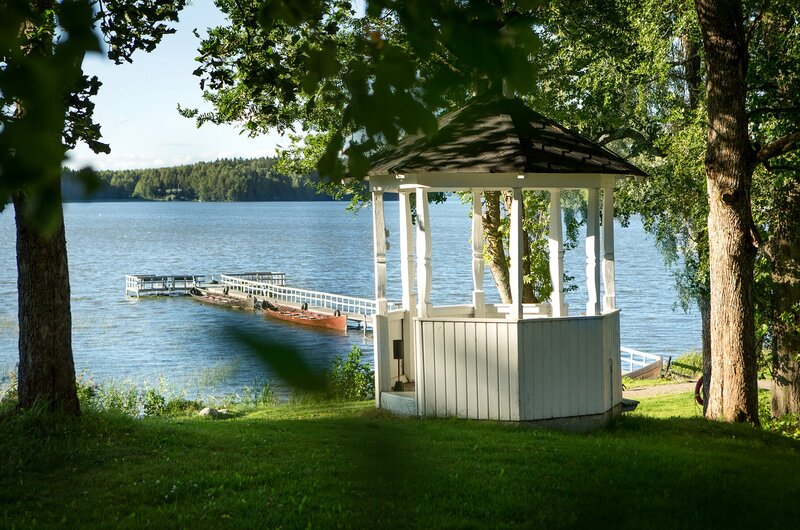 The venue is the magnificent lakeside hotel Gustavelund, lake Tuusula, southern Finland. Information frederick.gent@aalto.fi - registration fee is 400€. Registration shall cover meeting costs, daily meeting coffee breaks and lunch, Symposium Dinner, social sauna and excursions. Accommodation shall be at the venue, 105€ per single room per night (125€ twin sharing). Accompanying guests are also welcome and can join the symposium dinner for a supplementary fee of 65€ per guest. ... just south of Järvenpää, where Axel and his wife Sirkka lived, while doing his PhD in Helsinki 1986 and 1990. Nearby attractions include Ainola, 8 km north of Gustavelund.